Michael, we hope make some great sounding music with your new gear! What was your initial inspiration the led to the MxD? some sort of “boost” to add some extra gain/grind for solos. What’s the strangest request you ever received (besides this questionnaire)? Can’t think of anything “strange”. We have Larry Mitchell using the pedal. What’s coming up in 2015? Check out some of Joe’s super nice, hand-crafted guitars on his site. What was your initial inspiration the led to creating Pedals? I think most of brand of effect pedal in China are just following some bad fashion. They use some cheap and inferior component and low the price. And I want to make some pedals that more exquisite, special, adjustable, and with humanization design, regardless of the cost. 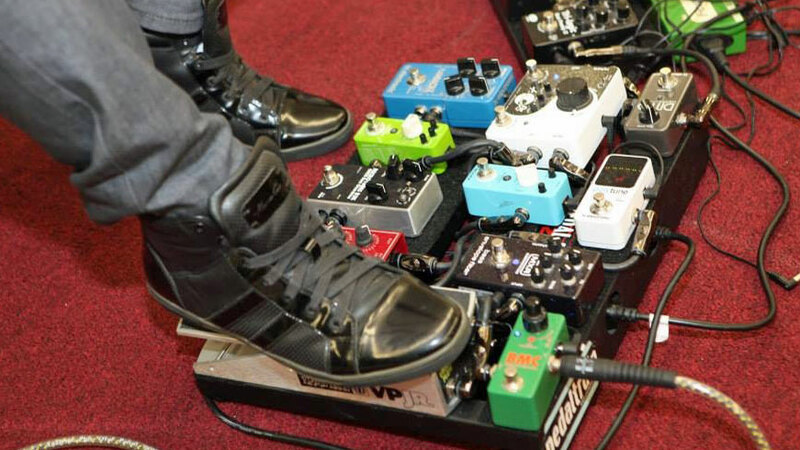 You play guitar, tell us, what’s on your pedalboard? I love playing guitar! I love every kind of sound from the instrument and what it can create with a band. And I always think deeply about the every type of instrument and their tone. I know how important they are and what they sound like. There are all Dr.J pedals in my pedalboard, and I will even use the D53 Sparrow Bass DI on some occasions. 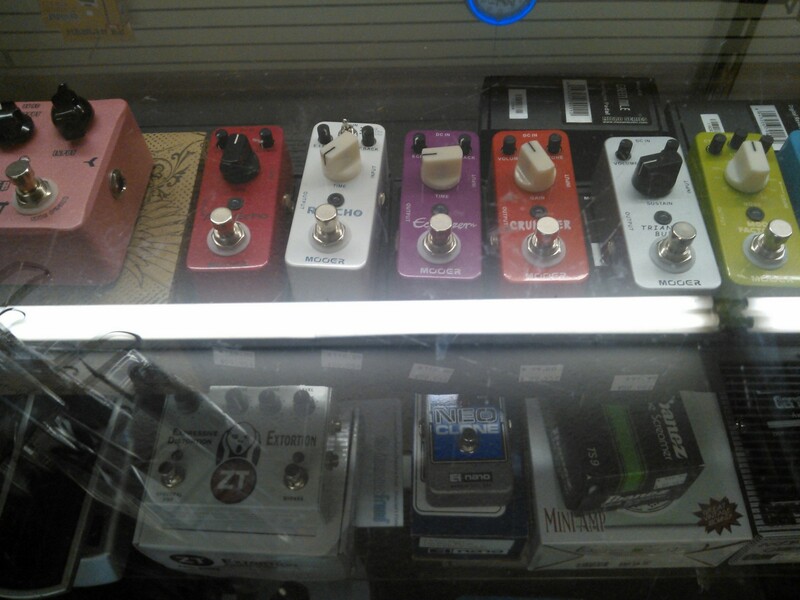 And I also have a lot pedals from other brands like DOD、BOSS、OKKO、LOVEPEDAL、BARBER、WAMPLER and so on. What’s the strangest request you ever received (besides this crazy interview)? Actually, there is not much request that would let me feel strange. (I’m strange enough 🙂 ). Who are some of the more well-known Dr J users and endorsees? 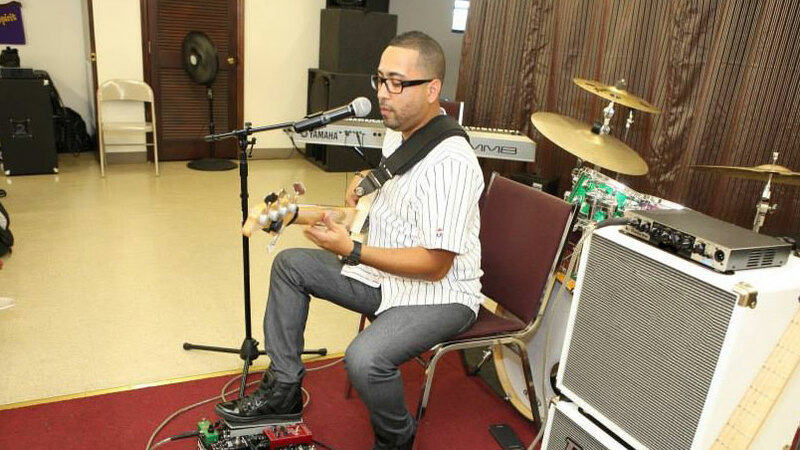 We have Jose de Castro plus many others. What’s coming up in 2015 for Dr J? It is a business secret 🙂 , but I promise there would be something we take serious. How long has the store been in business? 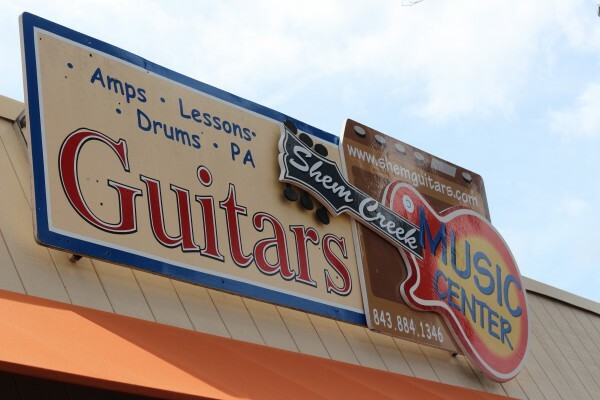 Shem Creek Music has been open since 2004. How long have you worked at the store, Scottie? Shem Creek Music was the first place I pulled into when I moved to Charleston fresh out of high school in 2008. I was the kid they couldn’t kick out of here since then, they hired me in 2010 to help out, then in 2011, began managing the store. 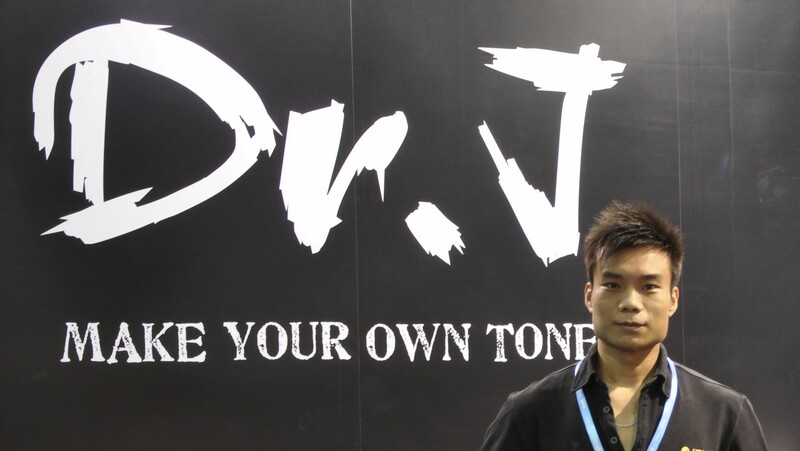 Why are Dr J and Mooer pedals doing so well at your store? 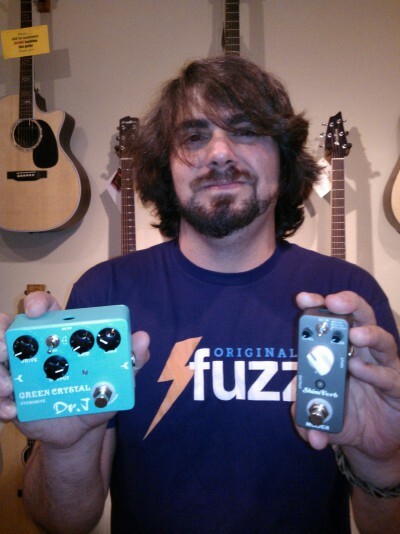 Osiamo offers several great pedals, but we have had the best success with Mooer and Dr. J pedals. Those pedals sell themselves. Let a customer play one and then ring them up later, it’s been that easy for us. Great pedals. How does the future of music stores look? Music stores that have adapted to the changes with online sales and Guitar Center/Sam Ash/etc. have done so by pushing their service, as well as lessons and repairs. Lessons really fuel a music store. The lessons should sell the retail, and the retail should sell the lessons. That’s how we feel a successful store should run. If more stores take this model as well as competing with Guitar Center/online prices, music stores will have a very bright future. What is the biggest challenge for your store for this year and beyond? Our biggest challenge is getting the greater Charleston area to come to our store and not go to a big box or online store. This is also a blessing for us, we do more repairs than anyone else in Charleston, as well as lessons. Our customers are usually our best salesmen. People come in every day with a “Bruce sent me” or “Bob told me you guys were the guys to go to.” I make damn sure that when they come in, they leave not only satisfied with their products and services that we offer, but also happier that they came in. You want customers to WANT to come back, not just need to. Our biggest challenge is catching that “average Joe” who just saw a GC commercial with a big sale, and he goes there instead of trying the local guy first. However, in Charleston, SC, there are stickers all over town with the saying “Be Local, Buy Local.” We’re very fortunate to have a town that really supports and goes the extra mile for small business like us. In return, we do the exact same for our customers. Thanks for reading our blog. If you’re interested in learning more about our Dr J and Mooer pedals you can click over to www.OSIAMO.com and see what we have to offer; if you’re a music store and are interested in dealer opportunities send us an email at dealers@osiamo.com and we’ll get right back in touch with you. If you’re already one of our dealers we’d love to feature you in an upcoming blog too. Get in touch with us! 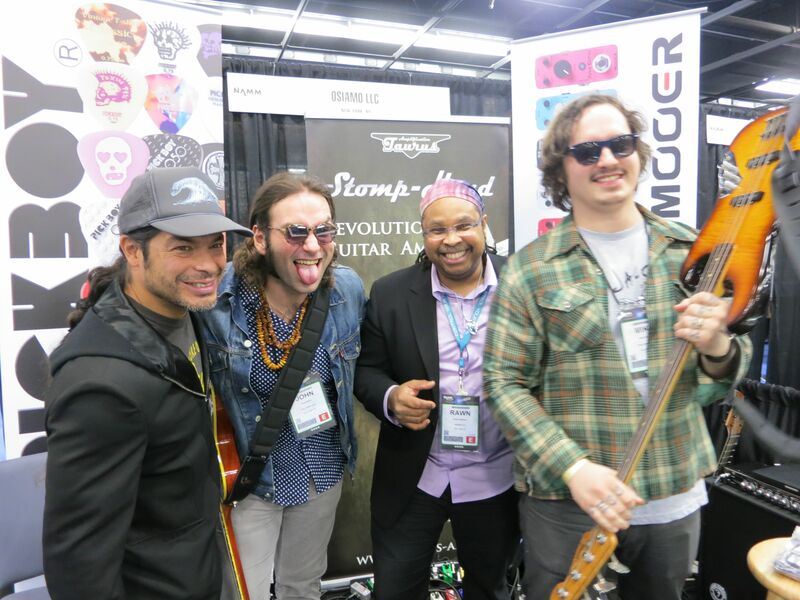 Robert Trujillo, John Bendty, Rawn Randall, Mike Bendy hamming it up at Winter NAMM! The story spans over 30 years and this is all true; Me, Jaco Pastorius and Robert Trujillo. 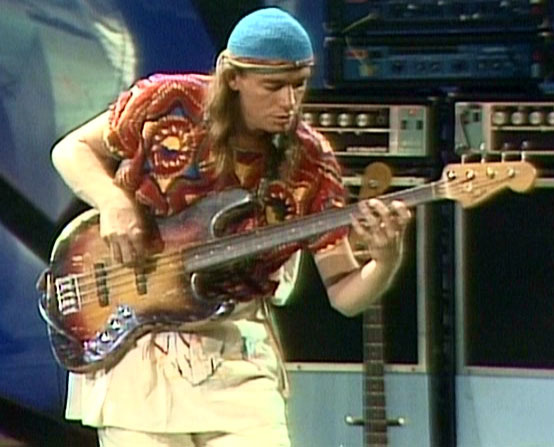 The first time I saw Jaco play live was at Avery Fisher Hall in New York in 1982. I would never quite be the same. The last time I saw Jaco was at the 55 Bar on Christopher St in NYC in 1986. I was taking lessons from guitarist Mark Barasch. My main teacher, Steve Logan was on on the road with David Sanborn. 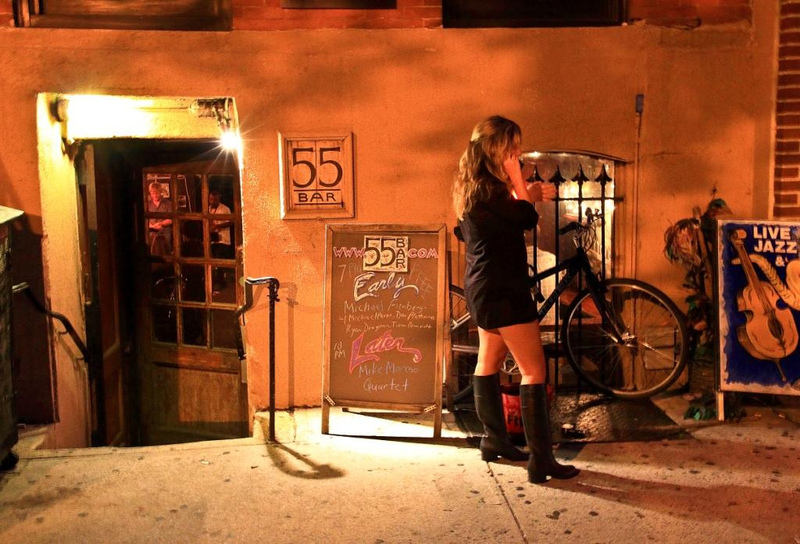 Steve recommended Mark thus placing me in his West Village apartment once a week not far from The 55 Bar. On this particular night I just finished a late lesson and thought I just pass by to see who was jamming. Yikes! it was Jaco playing in a trio setting. I have completely forgot the other musicians. It may have been Kenwood Dennard on drums and Hiram Bullock on guitar. I know Hiram because my teacher/sensei/guru Steve Logan played with Hiram as well. Come to think of it, it probably wasn’t Hiram because he would have been out on tour with Sanborn as well. Here I was a few feet from one of my 2 bass heroes. (Yes, Stanley Clarke was the other.) I am up close and personal with Jaco and to my utter dismay he is playing through a combo amp with a blown speaker and not sounding like the Jaco I know. On the break he went outside and as if if in some sort of surreal comic book now here I am speaking to my fallen idol. “Hey man, can you get me a better amp?”, he says. I didn’t know him and had never spoken with him before except maybe once on the West 4th St basketball courts. Now my mission was clearly laid out for me. I ran back to Mark’s place. I just played through his Polytone Minibrute III, not great but it’ll get the job done. I run full speed the 5 or 6 blocks to Mark’s apartment. I ring the buzzer. There’s no answer. I ring again and recall Mark saying he had his own gig that night. 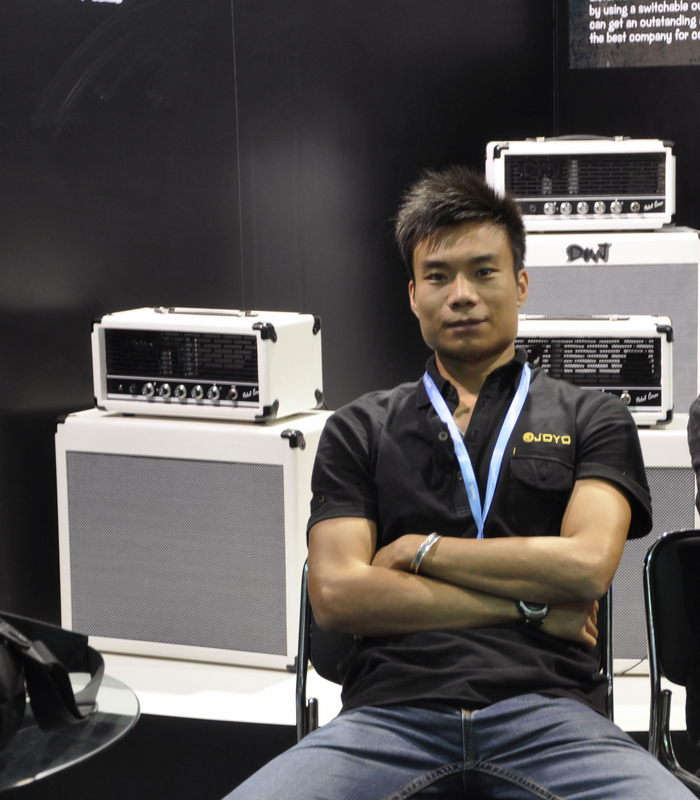 Now what…I think to myself – I’ll buy an amp from Matt Umanov Guitars (just a block away). This is for Jaco and I gotta save the day. It’s after 9pm and Matt is closed. I walk back to The 55 with my gig bag on my back. I failed my mission. The cats are back inside jamming. Shamed, I can not go back inside. Fast forward 6 or 7 years to 1992. I stopped the performance and begged for order and narrowly escape the evening with my life and my job. I also fall in love with a Guitar Center lady who would break my heart 7 weeks later. But that’s a story for another blog. Fast forward again to the Winter NAMM 2013 convention in Anaheim. Twenty plus years later and Mr Trujillo has gone on to work with Ozzy Osbourne and a little band you may have heard of called, Metallica. I hadn’t seen Rob since but here he comes with an entourage walking into the Osiamo Music Gear booth. We greet and catch as much as his many fans around him would allow. 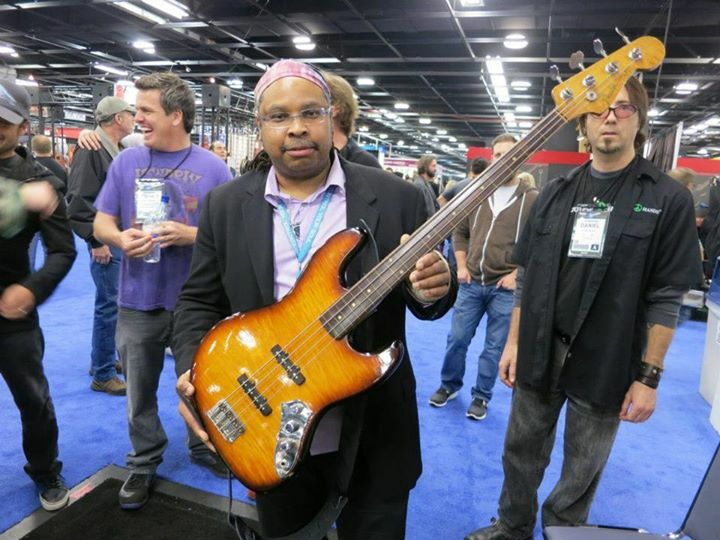 Then he says too me, “Do you want to play it?” I say, “play what?” Just then the very talented Osiamo endorsee bassist Mike Bendy appears with THE HOLY GRAIL! It’s Jaco’s bass. Rob had purchased it some years previous and now here it was being delicately placed in my unworthy hands. Rawn Randall with the “BASS of DOOM’! How long have you guys been in business? What Osiamo product do you carry and why? The Taurus overdrive is the richest, most harmonically pure I have ever heard. After hearing the demo I didn’t want to give the pedal back. All the Taurus pedals are phenomenal. 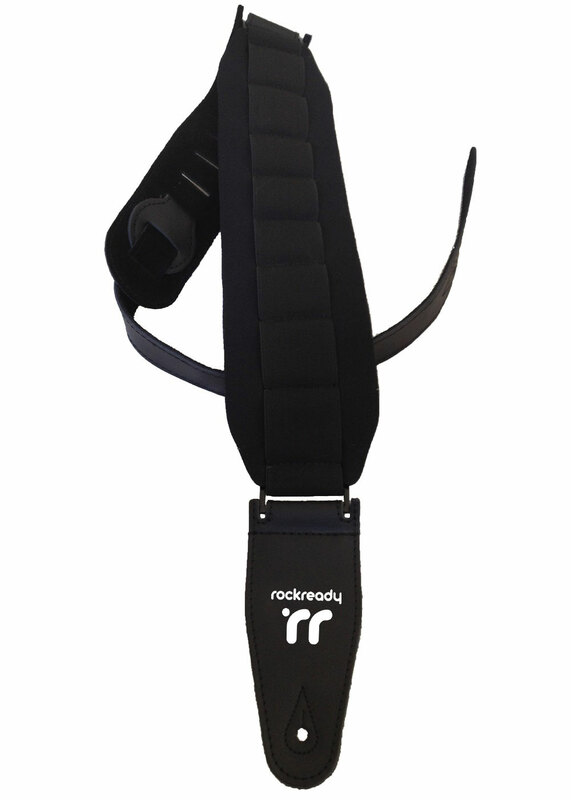 When I injured my left shoulder I could barley wear a bass until I got my Ultrastrap. My guitar player that has a bad back wanted to try it and he refused to gave it back, so I had to get another. The clever Neoprene and shock-banding construction make it the perfect prescription for a bad shoulder or back. It makes my bass feel 3 pounds lighter compared to a traditional bass strap. RCocco strings are descendents of a string making family legacy in Italy that sold strings to Stradivarius, the greatest luthier of all time. String to string consistency is good and the sets are well balanced in tone, timbre, tension and feel. What does the future hold in store for BBG? We are doubling up our effort to stock hard to find parts for basses. When you need a less common bass part we will be ready for you.